Nestled along the banks of the mighty Northern Wairoa River, and at the heart of the Kauri Coast stands the historic town of Dargaville. The largest town on the Kauri Coast, Dargaville is 58 km south-west of Whāngārei and 176 km north-west of Auckland. It’s a town with a rich history and a fascinating past. Tangata Whenua (the indigenous people of the land) named this place Kaihu in pre-European times. Settling the verdant and forested land, these first people of the Kaipara built villages and fortified Pa sites (palisade-walled redoubts) at many strategic points around the harbour, which was a vital source of both food and transport. Skilled navigators and builders of great waka - intricately carved and massively sized Kauri canoes - the Maori people explored, traded and established complex inter-tribal alliances in the time before Captain James Cook first made landfall in the 1700s. In 1872, Australian merchant Joseph McMullen Dargaville purchased the 80ha Tūnatahi block of land from local Ngapuhi Chief Parore Te Āwhā and others. His vision was to create a planned community, different from the other pioneering towns, which had sprung up as part of the earlier Albertland settlement of the Kaipara. The tiny village soon became a busy river town supporting the timber and kauri gum trades. Later farming and cropping developed on the rich loamy soils of the river flats and rolling countryside with its temperate climate. The Wairoa River was essential for transport in those early days, allowing Tangata Whenua, missionaries and settlers access to other parts of the region and providing food - fish, birds and eels. Soon it would also become a hub for shipbuilding and timber milling, as European settlers discovered the vast natural resources of the Kauri forests. Named the Northern Wairoa, to distinguish it from Wairoa in Hawke’s Bay, this great waterway is the principal river feeding the Kaipara Harbour from the north. Broad and straight for the 30km of its course below Dargaville, it provided an easily navigable route into the kauri forested interior. Tall ships could brave the harbour bar and sail right into the heart of Dargaville to bring news, trade goods and new pioneers from halfway around the world. All at a time when the British Empire ruled the waves by the might of its sails and cannons. Like other Northern Wairoa settlements – Aoroa, Aratapū, Te Kopurū, Tokatoka and Ruāwai – Dargaville thrived as the kauri trees fell and the mills hummed. Dalmatians (Croatians), as well as locals and new arrivals from Britain, Ireland and further afield were drawn to the district. Joseph Dargaville’s background as an assayer and bank representative on the goldfields in both New Zealand and Australia had given him a keen respect for the need for order, and his town was far less wild and lawless than some of the other boom towns, which sprung up where natural resources were plentiful. 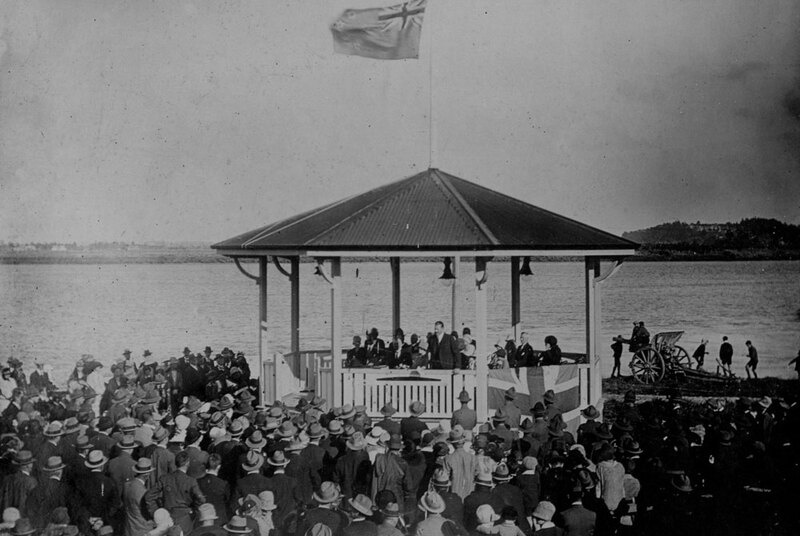 This stability was good for business and for society - Dargaville flourished and became known as a civilised place on the very frontier of British rule. Logs, timber, kauri gum and flax were carried down the Wairoa River by ships of up to 4,000 tons, which braved the Kaipara Harbour bar before making the journey to Onehunga, ports further south, and across the Tasman Sea to Australia – the biggest market for the strong, coveted Kauri timber. 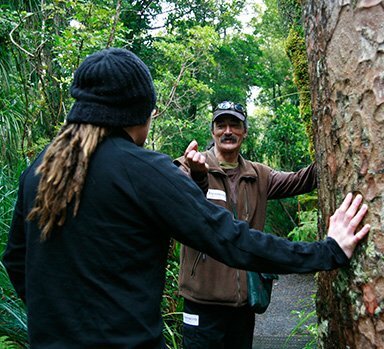 Many stately villas, government buildings, legendary sailing ships and examples of the woodworker’s craft can trace their origins back to the forests of the Kaipara. The timber and gum industries waned after 1920 but were replaced by farming, particularly dairying. Over the past century, a nationally innovative dairying industry has brought prosperity to a rural hinterland of approximately 10,000 people. Dargaville is now the hub of farming, forestry and cropping industries, with the alluvial river plains that bracket the river supporting the extensive cropping of kumara. This occurs south of Dargaville on both sides of the river and on the fertile Ruāwai flats and has given the region the title of New Zealand's Kumara Capital. As chefs overseas discover the delicate, sweet flavour and potential of this local delicacy, the kumara farming trade has grown apace. It’s a gift from those first people of the Kaipara, who developed sophisticated kumara farming and storage techniques, well before the first European settlers stepped ashore. The great kumara fields are below sea level; protected by drainage systems and stopbanks, and overlooked by a 180m volcanic plug Tokatoka and its neighbour Maungarahū. Dargaville now incorporates the earlier settled village of Mangawhare, and has weathered the transition from timber milling and boatbuilding hub to become the main rural service town of the Kaipara District. Becoming a borough in 1908, it grew steadily until the 1960s when the population stabilised. Today, innovative farming, local industry, tourism and cuisine are at the heart of Dargaville’s prosperity. It lies on the Kauri Coast tourist route, which runs from Brynderwyn to Waipoua and Hokianga, taking in vistas as varied as the wild west coast beaches, the green rolling hills, which frame the harbour itself, and the mighty Kauri forests and azure dune lakes to the north. These factors and more - such as a mild climate and ample amenities - have made Dargaville a vital hub for tourism, as more and more travellers from here and abroad discover this beautiful piece of New Zealand, off the regular tourist trails but all the more unspoiled for it. In fact, it’s the depth and scope of our history - and the way we’ve preserved it to share with the world - which attracts so many of our visitors. There’s no other place quite the same, and those who journey here take away more than just photographs and memories - they gain a unique experience that’s without parallel.